From the darkest corner of your bedroom a gaunt face suddenly looms over you. You're pulled violently from your bed and a terrifying voice screams, "Swear to Satan!" 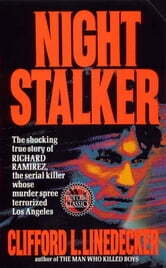 During a two year rampage, a sadistic serial killer entered the homes of families from El Paso to San Francisco. He raped, mutilated and tortured his unfortunate victims in one of the most vicious crime sprees in California history. 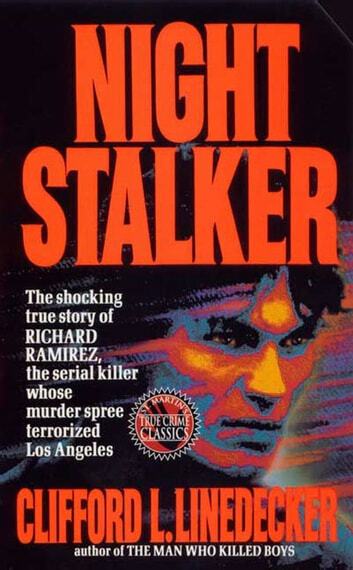 This is the horrifying account of his bloody journey, of the strange coincidence that led to his arrest-and of the sensational trial where the Night Stalker's eerie sexual magnetism resulted in women actually demonstrating for his acquittal.